With Strikeforce's Heavyweight Quarterfinal Tournament fast approaching, more and more picks and predictions are coming out. And obviously, Fighting Insider is going with the flow. This coming Saturday, Strikeforce’s most buzzed heavyweight tournament will take action. The event will begin with two of the four quarterfinal bouts, taking place on a five-fight card. But before anything else, the Strikeforce: Fedor vs Silva picks and predictions has been unleashed. Just a word of warning, though. Your opinion might be different from what will be stated after the skip. From Rickson Gracie to Frank Shamrock to Fedor Emelianenko, Anderson Silva is definitely engraving his name in the list of "The Greatest MMA Fighter in the World." For years, there’s a certain question that has caused millions of arguments in message boards world-wide: Who’s the greatest MMA fighter of all time? Some would vote for Rickson Gracie with his jiu jitsu aces, others would go for the UFC’s undefeated 205 lbs champion, Frank Shamrock, while the rest might put the crown on Fedor Emelianenko who rules the heavyweight division for most of the last decade. However, there’s still one athlete that is beyond compare — Anderson Silva. At long last! UFC decided to put an end to "Who is the best pound-for-pound MMA fighter" speculations. It looks like fans will definitely see a GSP vs Silva superfight soon. UFC President, Dana White, confirmed that Georges St-Pierre is one victory away from a super fight against Anderson Silva. GSP’s next fight versus Jake Shields will mark the end of his reign in the welterweight division. With his next title defense at UFC 129, Georges St-Pierre will be undeniably acknowledged as a welterweight division sweeper. Meanwhile, Anderson Silva’s next bout is even closer. The middleweight champion will take on Vitor Belfort at the upcoming UFC 126 on February 5. In relation to this, Dana White has outlined the importance of this next clash. According to the UFC President, if Anderson Silva and Georges St-Pierre win their respective fights, they will face each other. 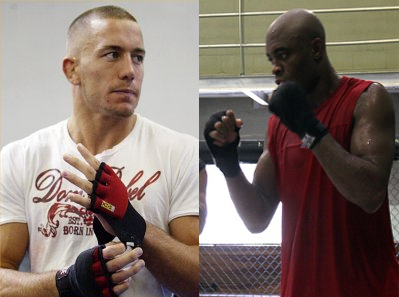 And for the GSP vs Silve super fight to happen, Georges St-Pierre will move to 185lbs and will stay at that weight. It looks like MMA fans will be in for an epic fight soon. Who will be crowned as the best pound-for-pound MMA fighter? Share your insights by leaving a comment. 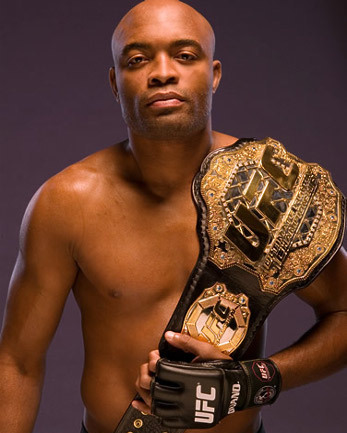 For UFC middleweight champion, Anderson Silva, getting the belt is as challenging as staying on top of the division. He is UFC’s longest reigning champion, after snatching the middleweight title from Rich Franklin last October 2006. Anderson Silva has been unstoppable in his succeeding fights, until Chael Sonnen became his contender. The outspoken contender was able to dominate him in four rounds, before tapping out from a triangle choke in the last frame. 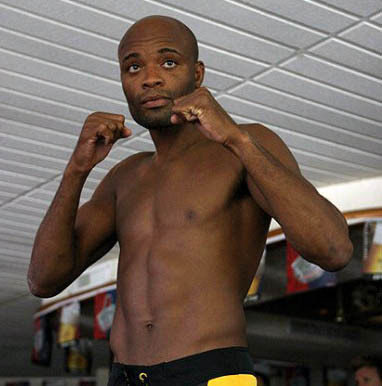 However, Anderson Silva will continue to defend his title against anyone who wants to challenge him. He will take on Vitor Belfort on UFC 126 that is set to take action on February 5, at the Mandalay Bay in Las Vegas. The UFC 126 tickets are nearly sold out. But the promotion will hold an official closed circuit viewing to keep up with the demand. Do you already have your ticket for the upcoming UFC 126? Tickets for UFC 126, that will feature a UFC middleweight title bout between Anderson Silva and Vitor Belfort, is nearly sold out! And to accommodate the high demand, the promotion will hold an official Closed Circuit viewing party in the Islander Ballroom at Mandalay Bay on the event night. Tickets for the closed circuit viewing will go on sale on January 18, at 10 am PT, through Ticketmaster or Mandalay Bay box office. The UFC 126: Silva vs Belfort will take action on February 5, at the Mandalay Bay Events Center in Las Vegas. In addition to the middleweight title bout, Forrest Griffin will lock horns with Rich Franklin and Jon Jones will take on Ryan Bader in light heavyweight match-ups. Grab your tickets now and don’t miss out this explosive event! UFC 126 from the Mandalay Bay Events Center in Las Vegas, Nevada on February 5, 2011 will headline two dynamic strikers in the middleweight division. 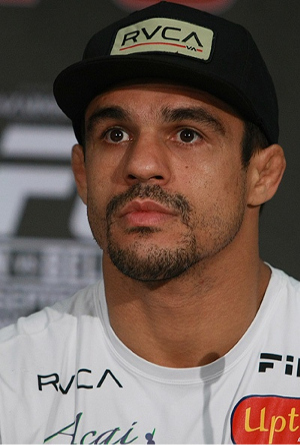 Will it be Vitor Belfort's time to shine? UFC 126 at Mandalay Bay Events Center in Las Vegas will headline two dynamic middleweight strikers: Vitor Belfort and Anderson Silva. Anderson Silva will put his 12-winning streak on the line, as he faces fellow Brazilian, Vitor Belfort. It seems that the middleweight championship fight on February 5 has all the makings of an explosive event, as both fighters possesses pedigrees of sheer dominance. But a striking bout may only be witnessed by fans, if and only if both fighters enter the Octagon with the same brilliance that they had during their prime. What should the fighters do to be victorious? Check out Fighting Insider’s fearless forecast for UFC 126 main card. This year definitely starter with a bang for MMA. Year 2011 started with big stories like Chael Sonnen's money laundering case, and with events like UFC 125 and the upcoming UFC 126. What's in store for MMA this year? While people are still pre-occupied tallying up their “best of 2010″ list, or catching up with what they missed last year, it’s time to look forward and see what 2011 has in store for Mixed Martial Arts. So far, UFC has booked a couple of events until April, while Strikeforce has an upcoming heavyweight tournament. But more than that, here are Fighting Insider’s thoughts of what 2011 has in store for MMA fans across the globe. 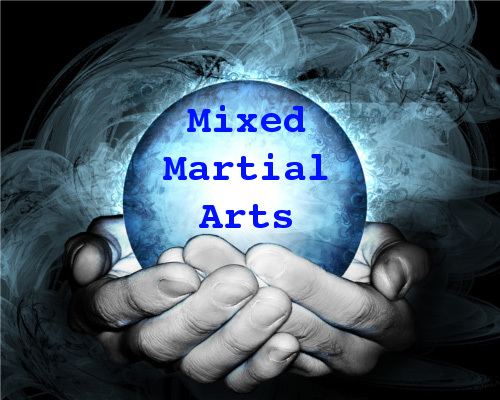 Check out our 2011 Predictions for MMA after the break. UFC 126: Silva vs Belfort is now official with ten bouts. Check out who among your favorite fighters made it to the card, and get ready to place your bets. Because this is going to be one explosive show! Once again, Anderson Silva will put his middleweight championship belt on the line, as he faces Vitor Belfort at the upcoming UFC 126 event. They will headline the match, along with the most anticipated light heavyweight showdown between Forrest Griffin and Rich Franklin. In addition to this, Jon Jones will lock horns with TUF season 8 winner, Ryan Bader, in a 205lb. tourney. Meanwhile, former WEC bantamweight champion, Miguel Torres, will make his first Octagon appearance in a featured 135lb. match-up against Antonio Banuelos. Finally, Norifumi Yamamoto will also make his UFC debut in a preliminary bantamweight tilt against Demetrius Johnson. Check out the full card after the break. Just a couple of weeks before UFC 126 kicks off, Vitor Belfort talks about his fight against Anderson Silva in his preview video. Spectators are loving Belfort’s confidence that he can beat the current Middleweight champion. 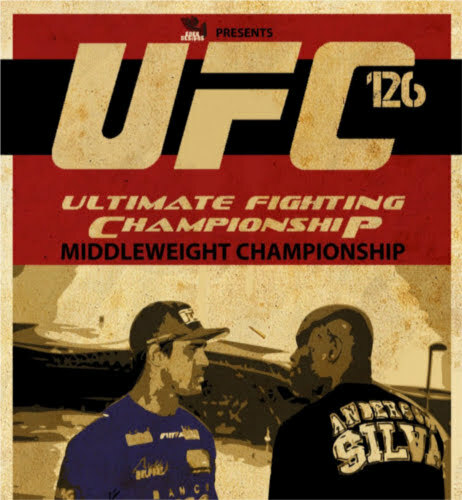 Furthermore, other fans think that UFC 126 will be the most epic championship fight that the promotion ever put up. The only thing that viewers are worried about is Vitor Belfort’s long lay-off from the Octagon. Still, it is no brainer that he is one of the fastest and most powerful striker in the UFC. And if age is really catching up on Anderson Silva, the champion might get rattled by his contender. Check out Vitor Belfort’s preview video after the skip. Fedor Emelianenko will return to the Strikeforce cage on Feb. 12, as he takes on Antonio Silva in a heavyweight main event from the Izod Center in East Rutherford, N.J.
Fedor Emelinanenko will once again step inside the Strikeforce cage, as he faces Antonio Silva for a heavyweight bout on February 12. 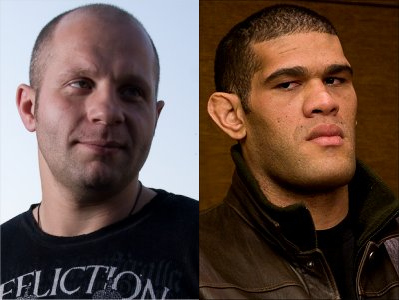 As speculated, Strikeforce will hold an eight-man heavyweight bout this year, and will feature an Emelianenko vs Silva match for quarterfinals. Also in the works to greenlit the Strikeforce event is a match pitting Andrei Arlovski and Josh Barnett. The upcoming Strikeforce event will take action on February 12, at the Izod Center in East Rutherford, New Jersey. With both favored heavyweight fighters coming from a shock of their lives, who will be redeemed?